At the 2017 Association of the U.S. Army (AUSA) annual conference, Chief of Staff of the Army Gen. Mark A Milley said that “the conflict of the future will almost certainly be in dense urban terrain.” The United Nations projects that nearly 70 percent of the world’s population in 2050 will live in cities. During the same period, the number of internet-connected devices (including computers, smartphones, home electronics, personal gadgets and even people) is expected to increase dramatically to more than 600 billion, based on current rates of growth in ownership. Current military capabilities will not be able to deal with the complexities and sheer density of signals in such an environment, while robust communications links and extensive infrastructure will provide many advantages to an entrenched adversary. Obtaining situational awareness in such a scenario will be extremely difficult. The nearly uncountable number of devices, the complexity of modern communication waveforms, and the ubiquity of available communication modes are but a few of the major technical barriers that will need to be overcome. To address this new challenge, the military must re-evaluate how its systems can be tasked to do more than just their intended function. It must develop new and novel sensors, and find new and novel ways of using existing sensors, that can acquire and discern signals of interest within such dense information environments. And, it must use innovative data-processing techniques, such as machine learning, to help make sense of all this information. To combat these technical challenges, the U.S. Army Communications-Electronics Research, Development and Engineering Center (CERDEC), a subordinate organization of the Research, Development and Engineering Command and soon to be part of the new Army Futures Command, has established the Every Receiver a Sensor (ERASE) program. This endeavor comprises at least six related science and technology research efforts managed under one umbrella. Each effort is a distinct building block that, when combined, will create a holistic approach to significantly broaden and expand the Army’s tactical sensing capabilities. 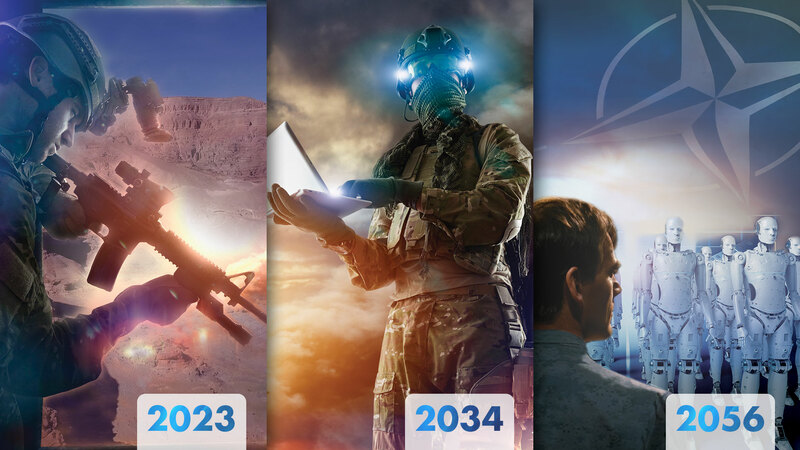 Broaden the Army’s cyber and electromagnetic sensor aperture by leveraging all available tactical receivers, regardless of their primary design function, as potential sensors of opportunity. Extend sensor reach by developing novel sensor and system concepts. Leverage all available data by exposing, aggregating and correlating data that is currently hidden within system internals or ignored. Speed commanders’ decision-making by developing supporting data management, analytics, visualization and command-and-control tools. Each U.S. Army brigade combat team has thousands of tactical receivers on the battlefield. These resources (including radios, platform protection systems, radars) each have distinct and specific functions. When idle, or potentially in conjunction with their normal operation, these devices can also serve as sensors. Today, most communications equipment is based on standard, generic hardware, with software providing the specialized functionality. As a result, these systems have the technical flexibility to be used in multiple different ways. Our tactical systems already collect a large amount of information as part of their normal operation. However, this data is internally hidden within the device and is often not available to external systems for further processing. For example, practically all modern fielded communication systems monitor their own performance to help maintain quality of service. The system does this by measuring quantities such as received signal power levels and bit error rates. Most of this monitoring, and any remediating action taken by the device, are invisible to the operator. For the user, such information will most often be superfluous. However, if this currently invisible data was made visible and then correlated across a large number of systems, it might provide near-real-time warnings of events within the electromagnetic environment. One radio experiencing a high error rate is, in itself, not very consequential. A couple dozen radios all reporting higher than normal error rates within close proximity of each other could, however, be an indication of adversary electronic attack activity. Data acquisition is only the first step in situational understanding. Once obtained, data must be ingested, aggregated and analyzed in various ways to derive meaning. For instance, simply collecting the total number of automobile accidents that have occurred over a period of time is not by itself very useful. However, correlating this data with other factors such as location, weather conditions and time of day, could enable the identification of hazardous roadways and intersection that could then be remedied. Furthermore, such data sets will need to be stored as part of a distributed data-management system that will allow processing to occur at points close to the tactical edge; the ideal scenario is for data to be processed at the lowest level possible, as close to where it was collected as possible, so that resources aren’t wasted sending large amounts of data back to higher headquarters. This will ensure that we do not overburden our tactical networks by attempting to move data across tactical communication links, and that relevant insights are made more expediently at the levels where they are most beneficial. In such an architecture, insights derived from data held at lower levels can be condensed and reported up the chain, where it can be further aggregated and analyzed to derive broader insights. It’s the year 2030. 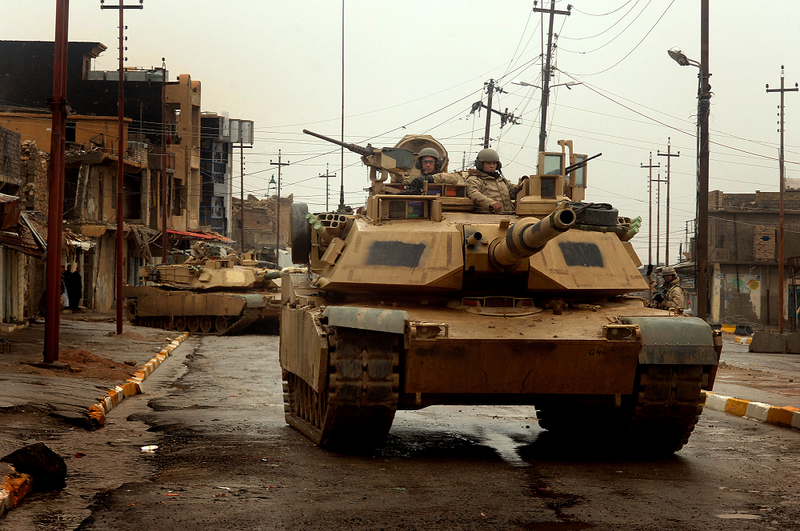 U.S. armed forces have been ordered to liberate and provide security for a city that is occupied by a hostile force. Upon initial entry, they use all available dedicated and opportunistic sensors at their disposal to validate and enrich previously known intelligence. Based on this new data, advanced analytics calculate that the adversary is operating within a small section of the city that is currently inaccessible to U.S. forces. 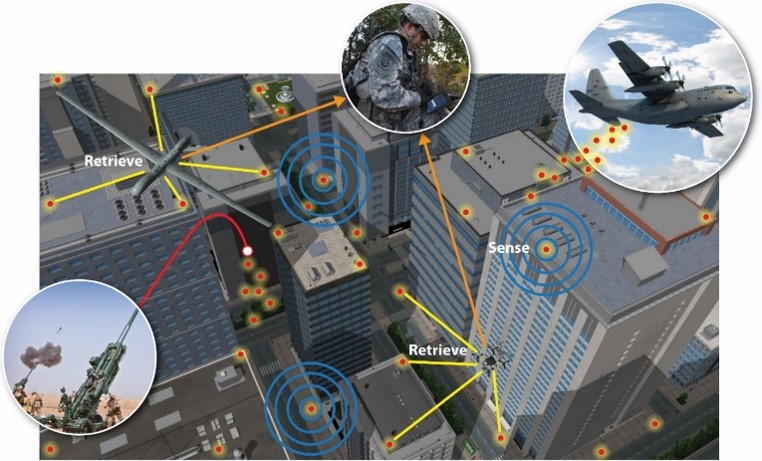 New sensor platforms that can safely access these zones are tactically deployed for final confirmation. Machine learning and advanced analytics subsequently suggest various course of action for the commander, who then takes decisive action. 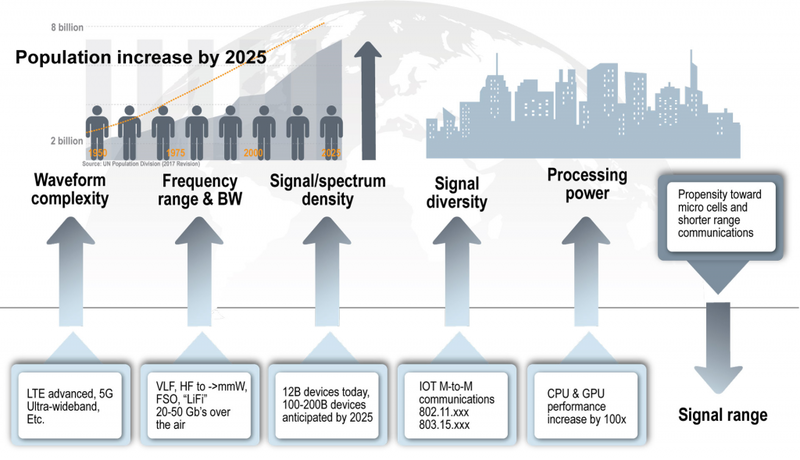 The Every Receiver as a Sensor program is but a first step to realizing this new capability. 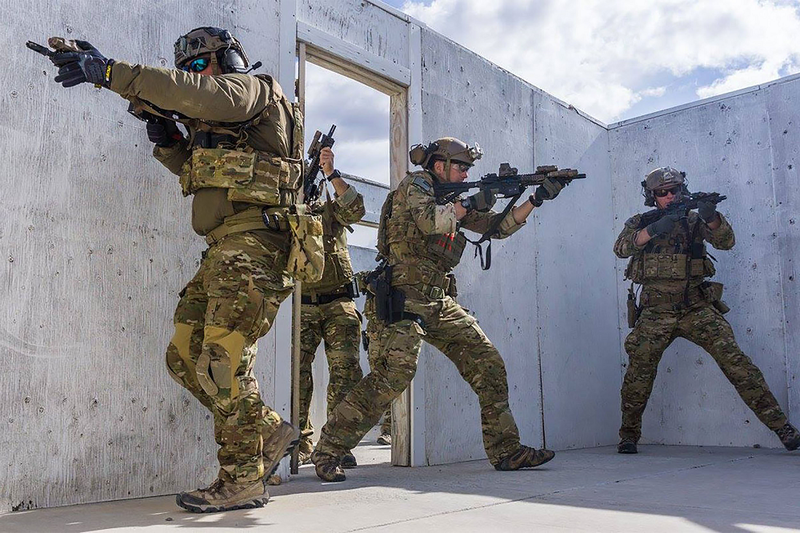 By leveraging and expanding upon commercial technological advancements to broaden and extend Army tactical sensing capabilities, the program is working to revolutionize how the Army uses all its available tactical resources to sense the cyber-electromagnetic environment and derive meaning from this information that the tactical commander can use. For more information please contact Edric Thompson (edric.v.thompson.civ@mail.mil), Public Affairs Officer, CERDEC. GIORGIO BERTOLI works for Intelligence and Information Warfare Directorate (I2WD), CERDEC, where he serves as senior scientific technology manager of offensive cyber technologies. He holds M.S. degrees in electrical engineering and computer science and has more than 25 years of experience in the areas of cyber, electronic warfare and military tactics, both as a civilian and as a former active-duty enlisted Soldier. He is Level III certified in engineering and is a member of the Army Acquisition Corps (AAC). DANIELLE DUFF is a senior engineer who oversees the research portfolio for I2WD, CERDEC, Intelligence Systems and Processing Division. She holds a Master’s of Electrical Engineering from the University of Delaware and a B.S. in electrical engineering from Virginia Tech. She is Level III certified in engineering and test and evaluation and is a member of the AAC. COURTNEY COULTER is team lead for site exploitation of the Identity Intelligence Branch and manages a portfolio aimed at providing backend systems and Soldier interfaces used to identify, collect, process and exploit information on the battlefield, quicker and more effectively using automated tools. A computer engineering graduate of Bethune-Cookman University, she attended Texas A&M – Texarkana to receive an M.S. in business administration and later Stevens Institute of Technology, receiving a Master of Engineering in system engineering. She is Level III certified in systems engineering, holds a Project Management Professional certification and is a member of the AAC. KEITH RISER works for the U.S. Army Intelligence Systems and Processing Division, I2WD, CERDEC, as a team lead for identity intelligence. He holds an M.S. in software engineering from Monmouth University and a B.S. in computer science from Rutgers University. He is Level III certified in engineering.